Amy Rafuse is a New York licensed physical therapist at Professional Physical Therapy. After graduating from Binghamton University with a bachelor’s of Fine Arts, Amy went on to receive her master’s of Physical Therapy at Touro College and received her doctorate in Physical Therapy at Stony Brook University. Amy has been practicing for 18 years and specializes in orthopedics and manual therapy techniques, Pre and post conditions, sports injuries and vestibular. Vincent Ferrara Jr. is a New York licensed physical therapist at Professional Physical Therapy. After graduating from Hartwick College with Bachelors of Science Pre-Physical Therapy, Vincent went on to receive his Clinical Doctorate of Physical Therapy at Stony Brook University. 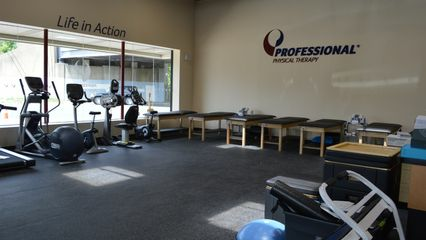 Vincent has been practicing for 11 years and specializes in athletes of all levels (pro, college, HS, recreational), post-operative shoulder and knees. Vincent has certifications in USAW-USA Weightlifting Association, TPI MP2-Titliest Performance Institure level 2 medical professional, Impact Trained Physical Therapist and Functional Movement Systems certified.